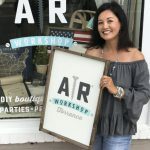 AR Workshop Pearland–Texas’ newest AR Workshop location–is helping DIYers craft up some Texas-sized fun! Located at 9430 Broadway St., Ste. 160 in Pearland, this new location is just 9 miles south of downtown Houston! AR Workshop Pearland serves Houston and the surrounding areas of Memorial, Bellaire, West University, Sugar Land, Missouri City, Friendswood, League City, Clear Lake, Katy, and Galveston! Join in on the crafting fun by registering for a DIY workshop. Your registration is your ticket to DIYing your own trendy home décor from raw materials, which are included with the registration fee! There are loads of projects to choose from, porch signs, canvas pillows and wall hangings, wood framed signs, centerpiece boxes, lazy susans, picture frames, bottle openers, clocks, serving trays, and more! Reserve a spot for a date night, girls’ night out, private party, team building event, or birthday celebration at AR Workshop Pearland! Owned by Emily-Frances and Justin McAdams, AR Workshop Pearland is exactly what the pair had in mind when deciding to open their own business. 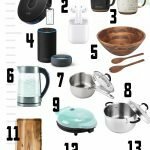 With a penchant for DIY, they are a perfect fit for this business. Emily-Frances loves to craft and make things look beautiful, while Justin loves building things with his hands. Though their lives are filled with many other commitments, including chasing around their two toddlers, they jumped on the exciting opportunity to open their own workshop, and now it’s full speed ahead! Justin and Emily-Frances are beyond excited to bring AR Workshop Pearland to the Houston Metro. Join them at a class to take your home decor to the next level and have fun while creating it! You can follow the DIY inspiration on Facebook and Instagram. You’ll be first to know about new class offerings, exciting projects, and specials and promotions. The class schedule is viewable online here.